1. As small as the car is, the interior feels shockingly normal. It’s quite comfortable. You only remember you’re in a Smartcar when you look behind and realize the rear window is 12 inches from your face. It’s a hilarious feeling. 2. No matter how fast you go, drivers will still feel the need to swerve and zoom past you. Even if you’re driving 80 mph, some drivers will think “no way am I driving slower than this Smartcar” and pass you by accordingly. 3. You won’t have to worry about road rage. It’s not because other drivers feel sorry for you. It’s because your body consumes so much of the interior, drivers think you are huge and don’t want to mess with you. 4. Everything is tiny, including the gas tank. Given the expected gas mileage (34 city / 38 highway), I was shocked how quickly the gas gauge ticked down from one increment to the next. That is until I filled up the tank, and the meter stopped at 7.91 gallons. It does get great gas mileage – it just has a tiny tank! 5. You get a lot of attention. It may not be the attention you want, but it’s the attention you deserve. 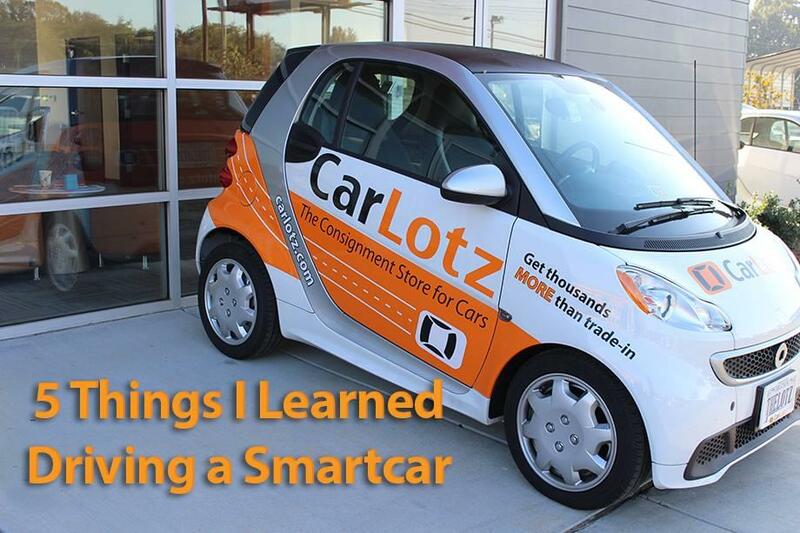 Whether you’re parked or on the road, you get a lot of looks in the Smartcar. When drivers look at me when passing by, I always imagine they’re thinking to themselves “that dude is awesome!” With that self-assuredness, it really doesn’t matter what they’re ACTUALLY thinking. There’s no other option but to own your awesomeness when you’re driving a Smartcar.